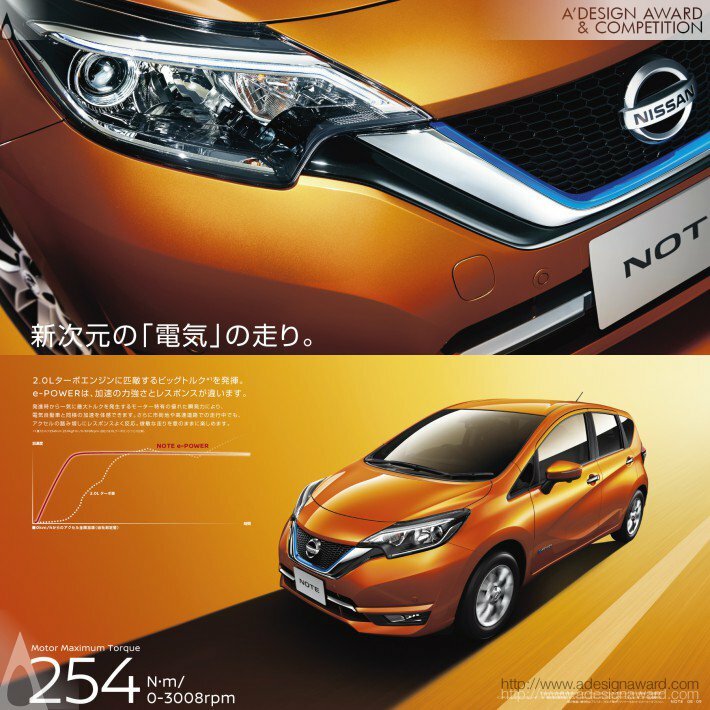 A new performance called e-POWER is added to Nissan NOTE. 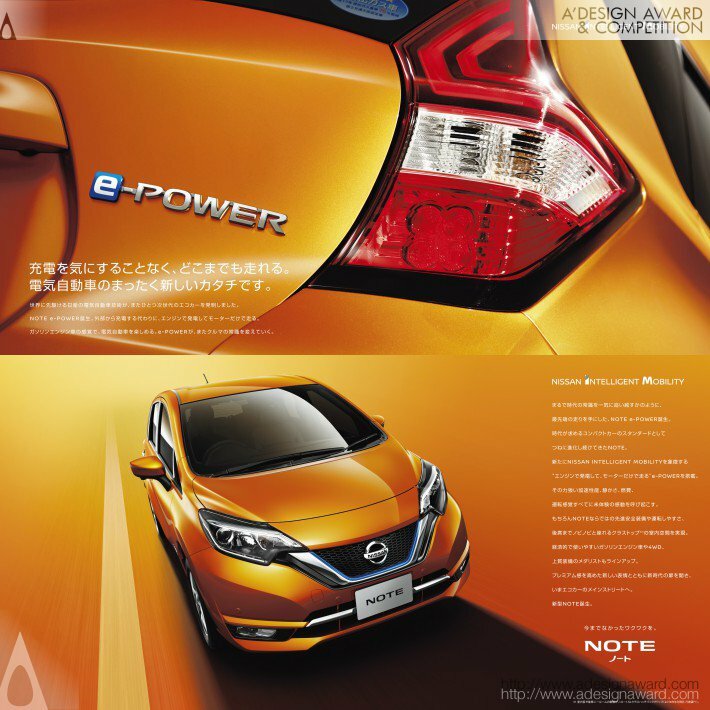 e-POWER means a new form of electronic vehicle. 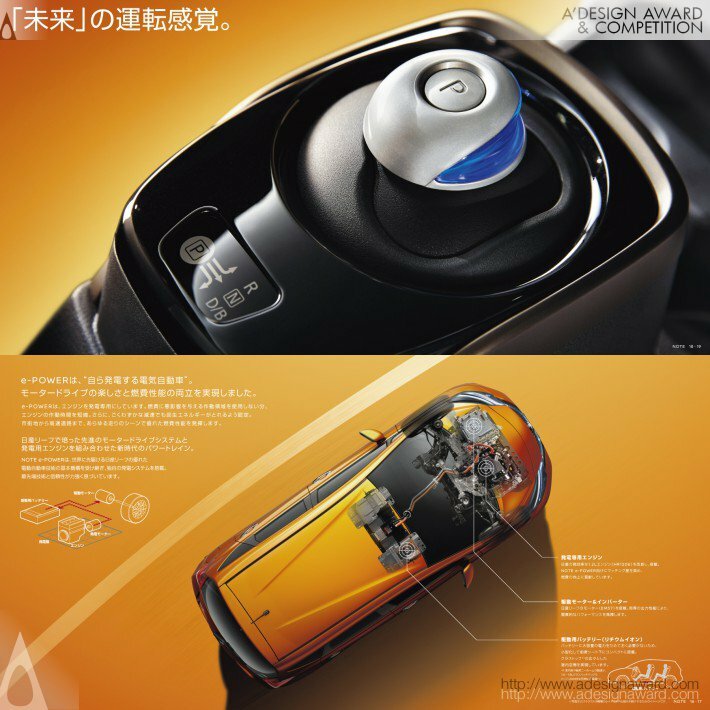 Generate electric power in the engine, instead of charging externally and use only the motor to run. 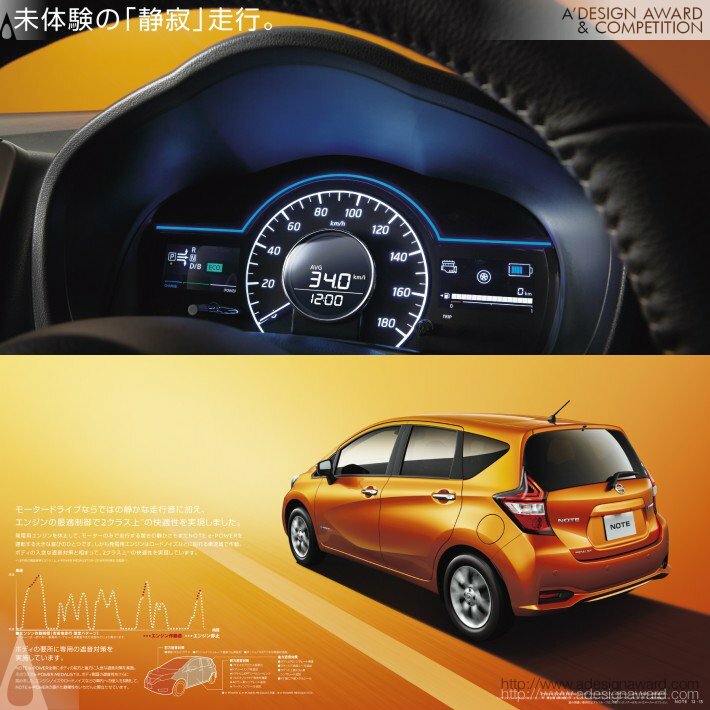 Possible to drive as far as one can without worrying about charging just like gasoline-fueled automobile. 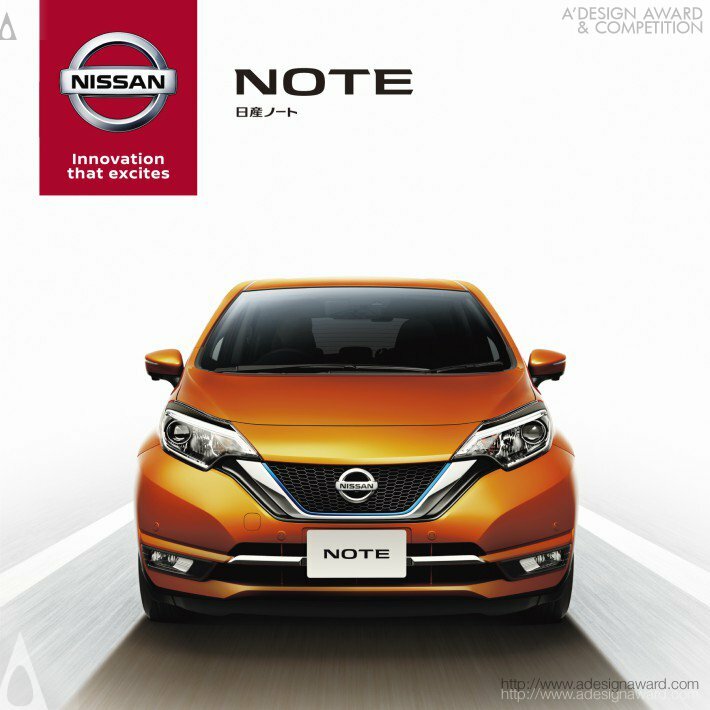 This brochure is created to communicate a message of how NOTE is innovative and advanced with this inventive technology equipped.